Whether you're looking to break ground and build a new home or tackle some other construction project, ELLIS Inc. of Bomoseen, Vermont is here for you. 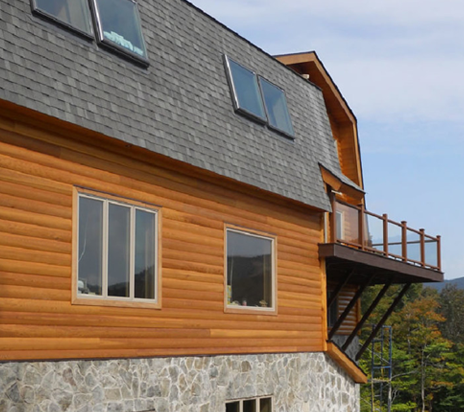 We specialize residential construction and general contracting throughout the Greater Vermont and Northern New York areas. As a company, we take great pride in all that we do, and our commitment shows in the beautiful craftsmanship of each project. As your go-to residential home builder ELLIS Inc. is a full-service concrete and construction company, with just over half a dozen full-time employees. From our roots as a concrete company in 1999, we have quickly expanded to include house jacking and full-service construction. Today, we believe that if you can dream it, then we can build it. We've never been proven wrong because we work closely with you to ensure every aspect of your design is realized. No matter what the style or scale of your project, we are dedicated to building a place you are proud to call your home. Contact us today with your ideas and let us bring them to life.